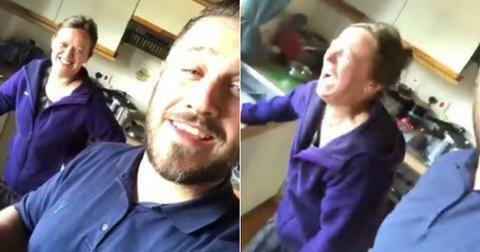 The holidays are approaching, which means it's time for some heartfelt family cheer — as well as, perhaps more importantly, total and unabashed nonsense. 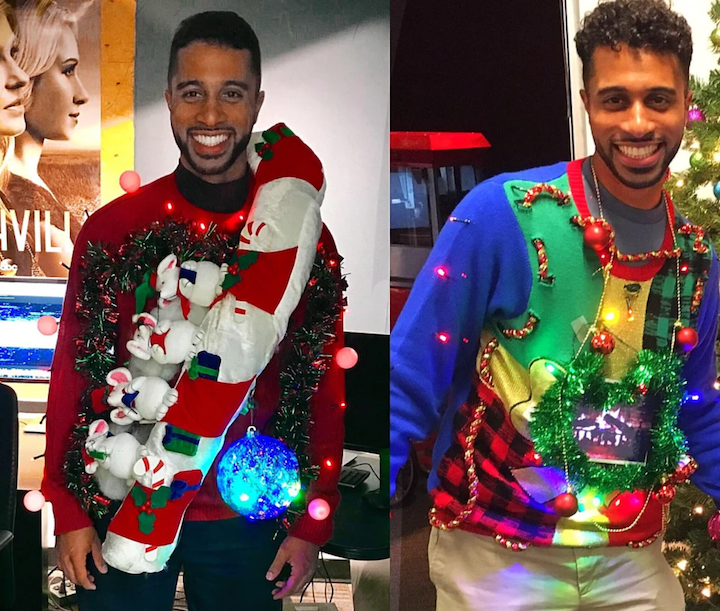 Now that 2018's SantaCon is finally behind us, it's time to mark your calendar for another gratuitous non-holiday ahead of Christmas: National Ugly Christmas Sweater Day. What a redundant mouthful! 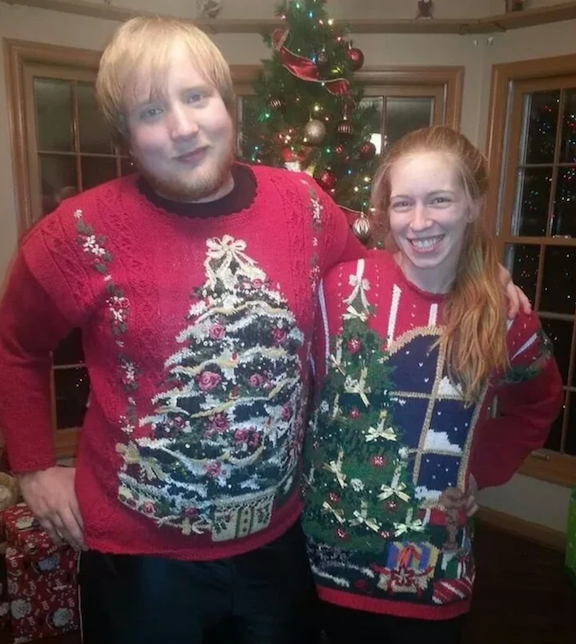 People all over America are flocking to each other's houses dressed up in ridiculously tacky sweaters, enjoying themselves and their sartorial disasters. Some companies are even rewarding their ugly-sweater-donning clientele, like Alaska Airlines, which is offering early boarding to anyone sporting seriously hideous garb on the national holiday. 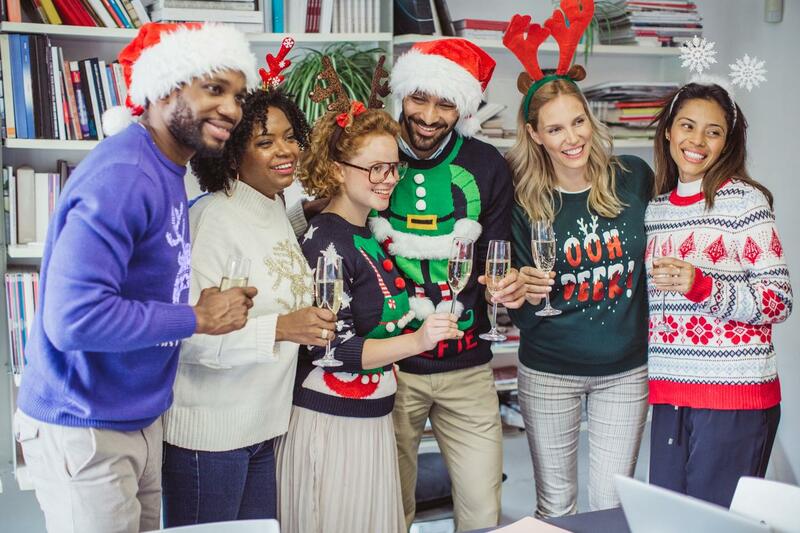 As the "official" dot-org site of National Ugly Christmas Sweater Day states, "National Ugly Christmas Sweater Day is a day of lighthearted fun and a day to be yourself and not that buttoned up corporate version of yourself you have grown to despise." 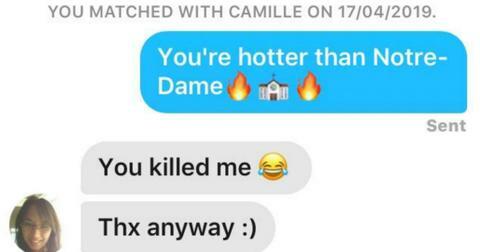 Well, then! Whether you're getting ready to board Alaska Air next Friday, have been invited to an ugly sweater party, or just want to learn more about this strange but much loved "holiday," I'll do my best to unpack it. Oh, and I'm also throwing in pictures I've collected from all corners of the web to inspire your best tackiest looks this year. 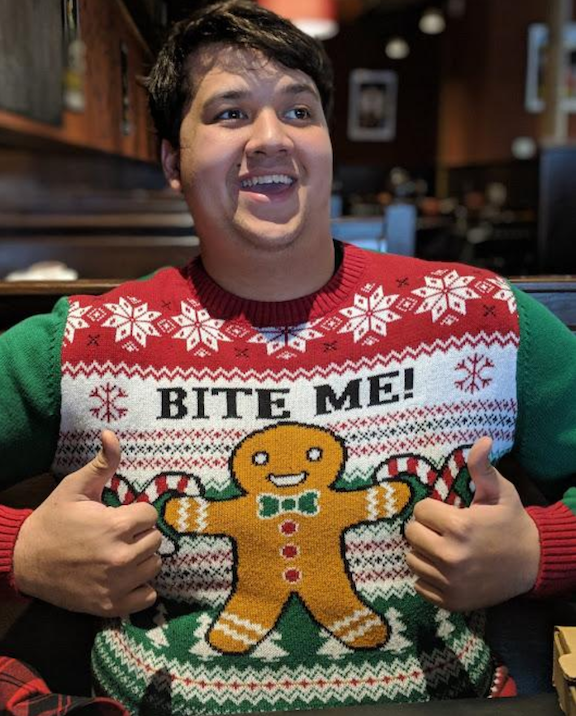 When is National Ugly Christmas Sweater Day 2018? Sure, a cursory Google search could answer this question — you'd think! But it's actually a bit trickier than that. 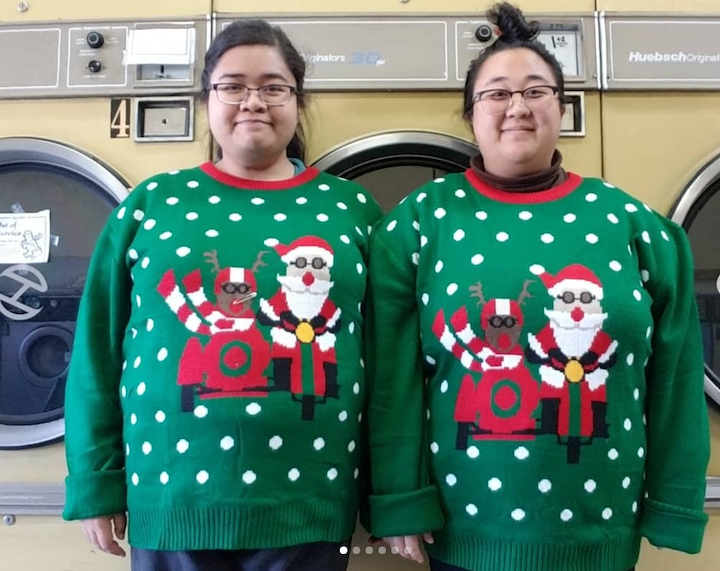 While several sources claim National Ugly Christmas Sweater Day (heretofore NUCSD, because typing it out every time is exhausting) is December 15, it turns out it was only that day last year because that was the third Friday of the month in 2017. NUCSD gets very "Thanksgiving" with us, stating the holiday "is celebrated on the third Friday of December each year. In 2018, it falls on Friday, Dec 21st." This means it'll fall on a different date next year: December 20, 2019. So don't get so drunk on eggnog you can't stay on your toes, people! 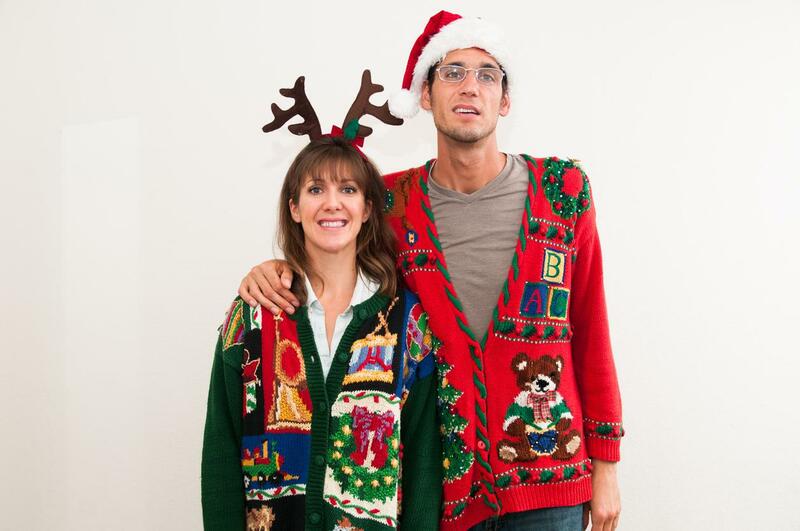 When was National Ugly Christmas Sweater invented? Ugly sweater die-hards probably already know this, but the rest of the world has the '80s to thank for bringing hideous knits into the mainstream. Bill Cosby's outfits on The Cosby Show definitely cemented the garish garments as a staple of the zeitgeist, and Chevy Chase decided to jump on board the trend as well, wearing them in the popular National Lampoon's Christmas Vacation. While ugly sweaters were once just side-eyed items your great-aunt would knit and mom would force you to wear on Christmas Day, the '80s saw them mass-produced for the first time, under the name of "jingle bell sweaters." And of course, everyone is still crazy about them to this day. You know, in an ironic way. Ugly Christmas sweaters became a cause for celebration in 2002, when Vancouver claims it held the first-ever NUCSD party. In fact, their party is still going strong, and if you find yourself in Canada next week, you can look into scoring tickets here. Granted, because they're Canadian and have to be just a little bit difficult, their party is being held on National Ugly Christmas Sweater Day EVE, December 20. 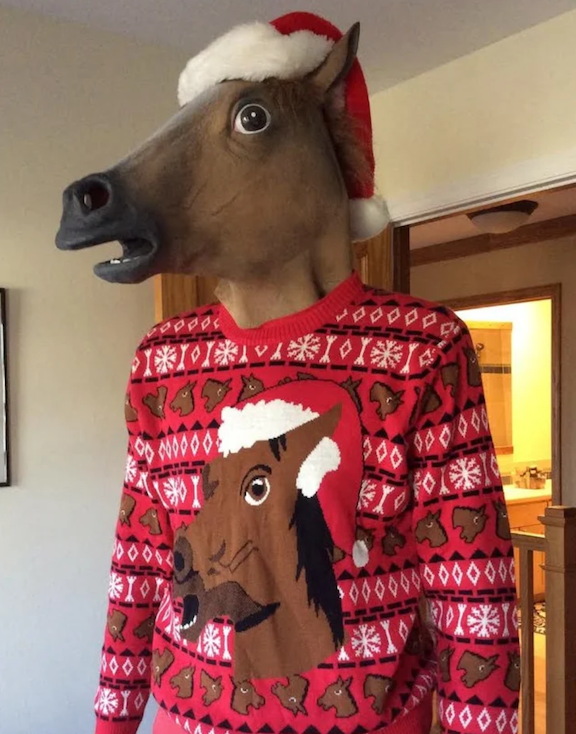 Inspiration for your ugly sweater party, so you don't accidentally arrive looking good. 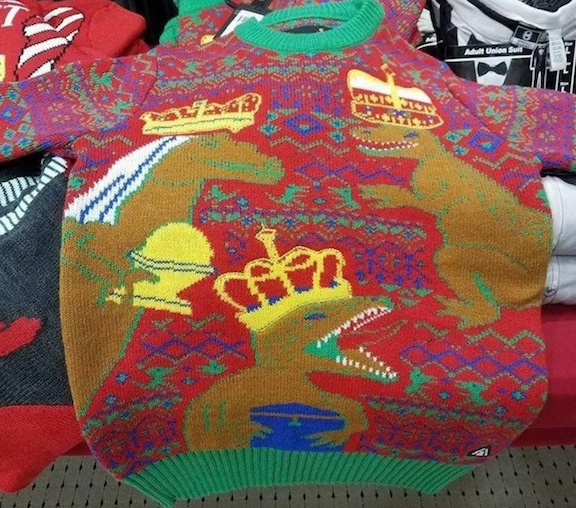 If I were ever invited to an ugly Christmas sweater party, I have no idea what I would wear. Not because I think of myself as some fashion model with a closet full of only pretty things, but mostly because I can't bring myself to spend money on an item of clothing I can only wear for a couple of hours a year. Admittedly, this is why I fail at Halloween. 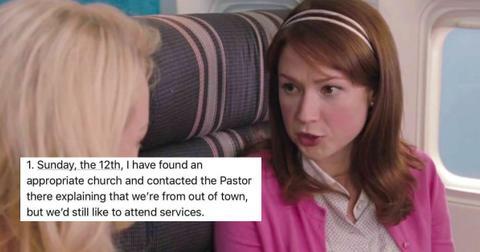 But I guess I could be talked into it if I found one that was soft and comfortable. After all, isn't that all one cares about in sweaters? You could always go the DIY route, which is cheaper and definitely more rewarding. Also, incorporate lights. 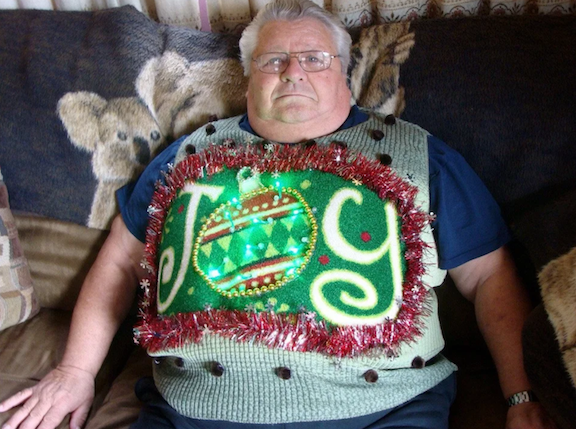 There's no way you can go wrong with those, just ask this grandpa about his inspired sweater, below. And don't overlook the classics. If you get at least one other person to wear the same thing as you, it'll be worth it for the pictures and the laughs. I promise. Christmas cheer is so much better when it's shared. 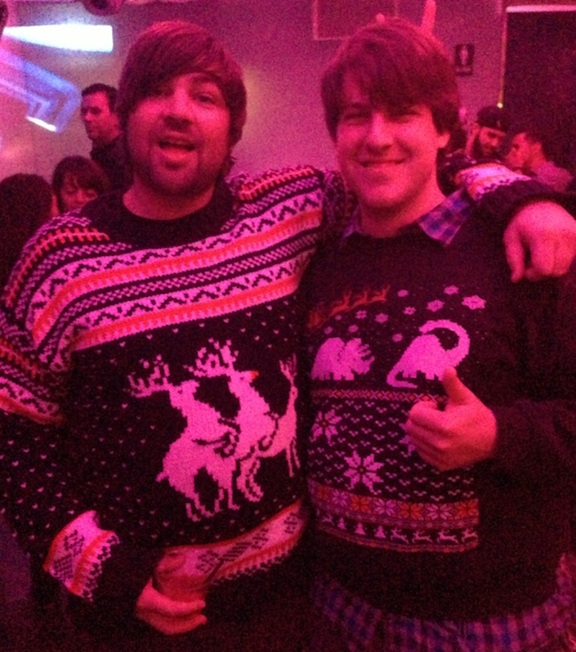 Of course, you could really load up on the irony and get a Christmas sweater with references from the days of yore. 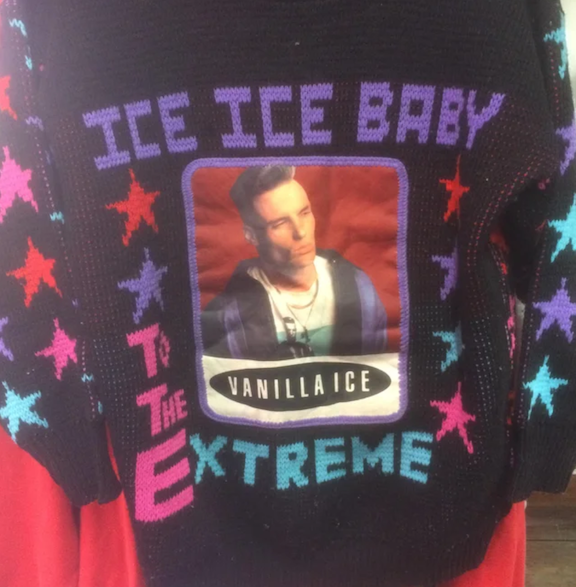 I just ask that you slide into my DMs if you ever come across this Vanilla Ice knit. Or celebrate the holidays more obscurely and indirectly, for example by paying tribute to the Three Kings, portrayed here as dinosaurs. For bonus points, you could go as ugly AND mind-blowing AND terrifying, like this person did. 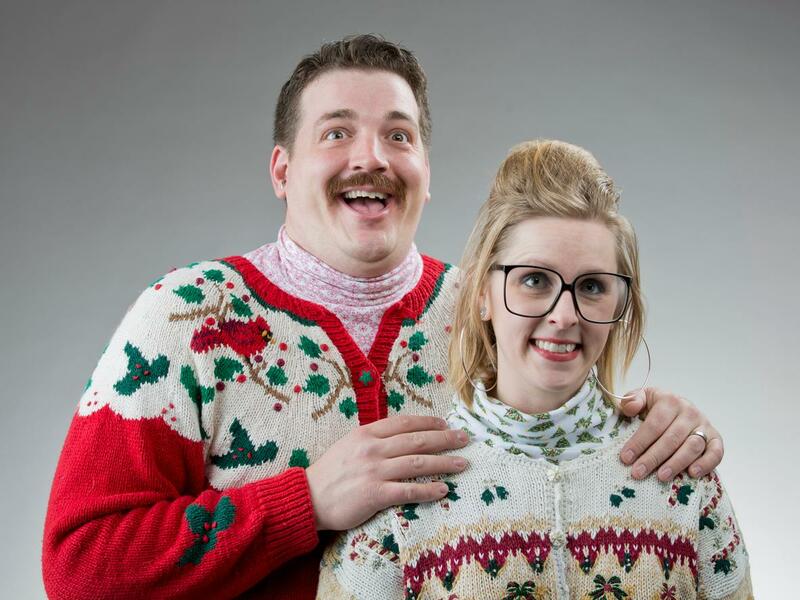 I think whoever invited them to their sweater party might want to renege the invite before all the guests leave in tears. 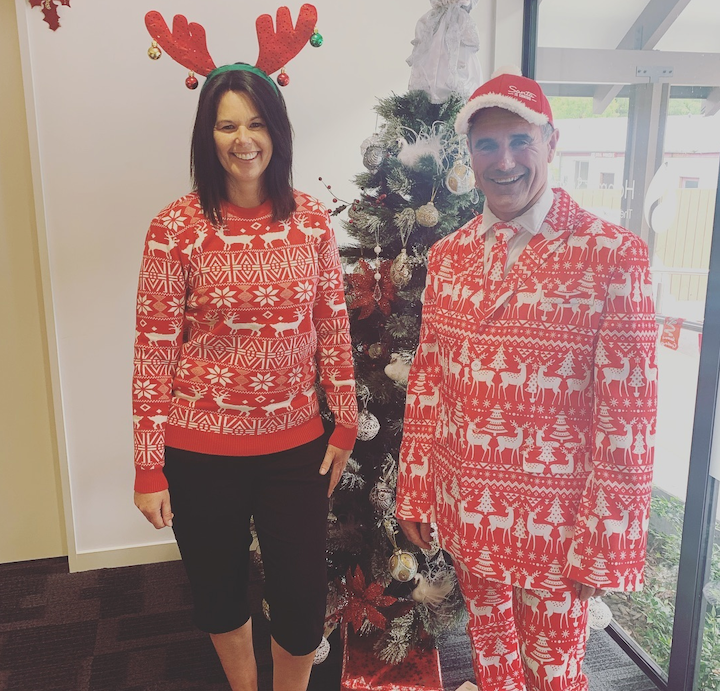 If ugly sweaters aren't enough for you, how about a hideous Christmas suit? 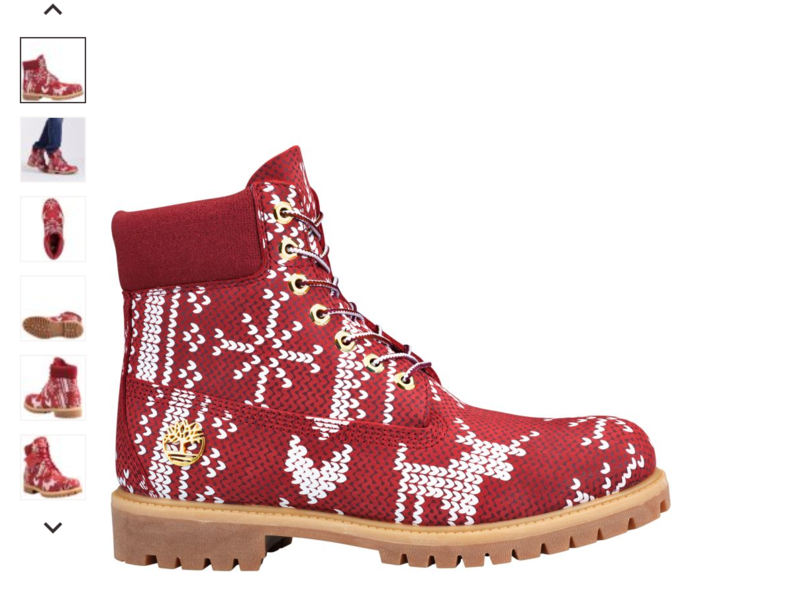 Top it off with these ugly sweater BOOTS, straight from the Timberland store. Whatever your plans are for next Friday (but don't forget an ugly sweater if you're flying Alaska, I'm serious), I hope it's filled with many laughs.